NEW YORK, NY – September 18, 2018 – iFresh, Inc. (“iFresh” or “the Company”) (NASDAQ: IFMK), a leading Asian American grocery supermarket chain and online grocer, announced today that the Company hosted a business reception for JD.com executive Clark Meng, Director of Project Development, FMCG & Foods BG, at iFresh’s headquarters on September 18, 2018. 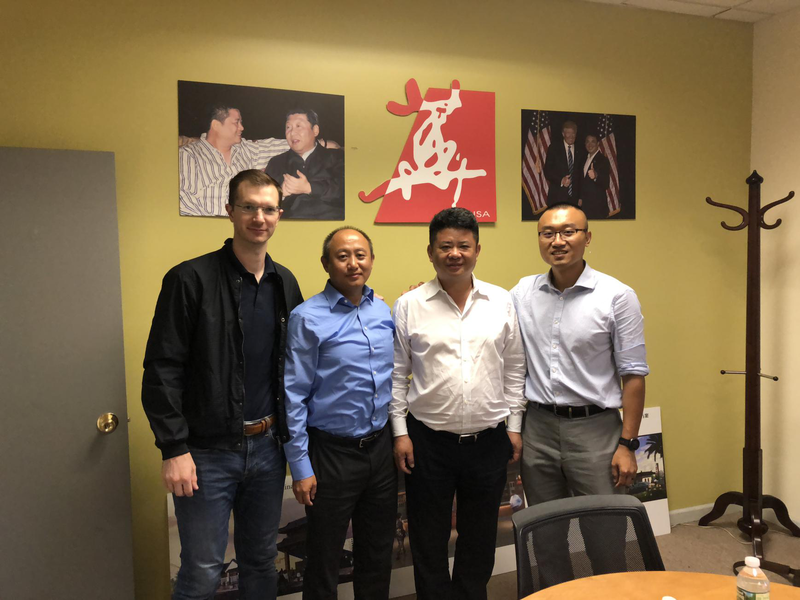 Mr. Meng visited iFresh’s headquarters in Long Island City and two branch locations in Manhattan on September 18, 2018 personally accompanied by Mr. Long Deng, Chairman and CEO of iFresh, reciprocating Mr. Deng’s visit to the Beijing headquarters of JD.com earlier this year. 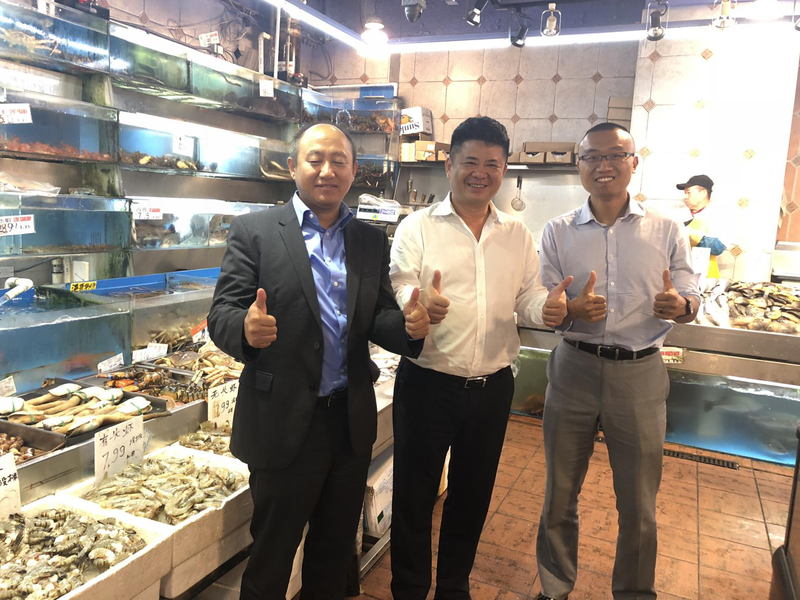 Mr. Meng expressed great interest in iFresh’s business and discussed the possibility of further cooperation as well as the details of implementation between JD.com and iFresh with Mr. Deng. 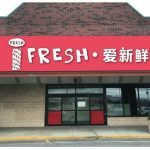 Mr. Meng also examined the newly renovated iFresh store in Glen Cove, Long Island, which exhibits iFresh’s innovations in decoration, equipment, and overall planning in supermarket design. 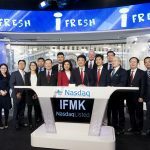 iFresh Inc. (NASDAQ: IFMK), headquartered in Long Island City, New York, is a leading Asian American grocery supermarket chain and online grocer. With nine retail supermarkets along the US eastern seaboard (with additional stores in Glen Cove, Miami and Connecticut opening soon), and two in-house wholesale businesses strategically located in cities with a highly concentrated Asian population, iFresh aims to satisfy the increasing demands of Asian Americans (whose purchasing power has been growing rapidly) for fresh and culturally unique produce, seafood and other groceries that are not found in mainstream supermarkets. With an in-house proprietary delivery network, online sales channel and strong relations with farms that produce Chinese specialty vegetables and fruits, iFresh is able to offer fresh, high-quality specialty produce at competitive prices to a growing base of customers. For more information, please visit: http://www.ifreshmarket.com/. JD.com is China’s leading technology-driven e-commerce company. Its cutting-edge retail infrastructure enables consumers to buy whatever they want, whenever and wherever they want it. The company has opened its technology and infrastructure to partners, brands and other sectors, as part of its Retail as a Service offering to help drive productivity and innovation across a range of industries. JD.com is the largest retailer in China, a member of the NASDAQ100 and a Fortune Global 500 company. For more information, please visit: http://ir.jd.com. This announcement contains forward-looking statements. Forward-looking statements provide our current expectations or forecasts of future events. Forward-looking statements include statements about our expectations, beliefs, plans, objectives, intentions, assumptions and other statements that are not historical facts. Words or phrases such as “anticipate,” “believe,” “continue,” “estimate,” “expect,” “intend,” “may,” “ongoing,” “plan,” “potential,” “predict,” “project,” “will” or similar words or phrases, or the negatives of those words or phrases, may identify forward-looking statements, but the absence of these words does not necessarily mean that a statement is not forward-looking. Examples of forward-looking statements in this announcement include, but are not limited to, statements regarding our disclosure concerning the Company’s operations, cash flows, financial position and dividend policy. iFresh becomes the first public-listed Chinese/Asian supermarket chain in the U.S.